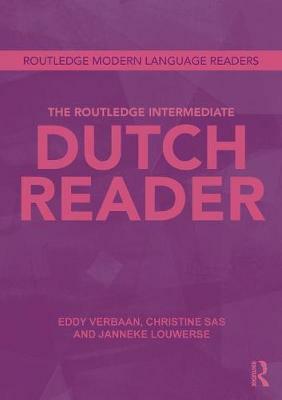 The Routledge Intermediate Dutch Reader has been specially designed for upper intermediate learners of Dutch and comprises a broad selection of graded readings. The readings are taken from a range of contemporary Dutch writing, from newspapers and magazines through to specialist journals and the internet. The texts have been specifically selected to ensure students receive maximum exposure to topics pertaining to Dutch language, culture and society, making this Reader an enjoyable and stimulating resource with a meaningful cultural context. a general introduction a vocabulary list with example sentencesa number of text comprehension questions and extensive vocabulary exercises with model answers provided in the key a wide variety of speaking exercises relevant to the vocabulary and topic at handa number of internet research tasksa short list of suggested further reading. Suitable for both class use and independent study, The Routledge Intermediate Dutch Reader is an essential tool for facilitating vocabulary learning and increasing reading proficiency.